These are stories I have worked on in conjunction with Mike Beaudet, one of WCVB's, Boston's ABC affiliate, investigative team. I assisted with script writing, research, and shooting for these featured pieces. "Daria Svetly doesn't defend her son Gage's behavior, saying it was anything but inappropriate. He was in a Woburn middle school when he and a friend were asked to leave science class over a disruption." "The MBTA is giving itself high grades these days – mostly A’s actually -- for subway reliability. That prompted 5 Investigates to go underground, into the subway system, to see if there might be some grade inflation going on at the T."
"5 Investigates is shining a spotlight on free trips for state lawmakers that look a lot like nice vacations. Some critics question the value of the excursions, which are not paid for by the state, but instead by private organizations and foreign governments." "It’s up, up and away from the Massachusetts State House. 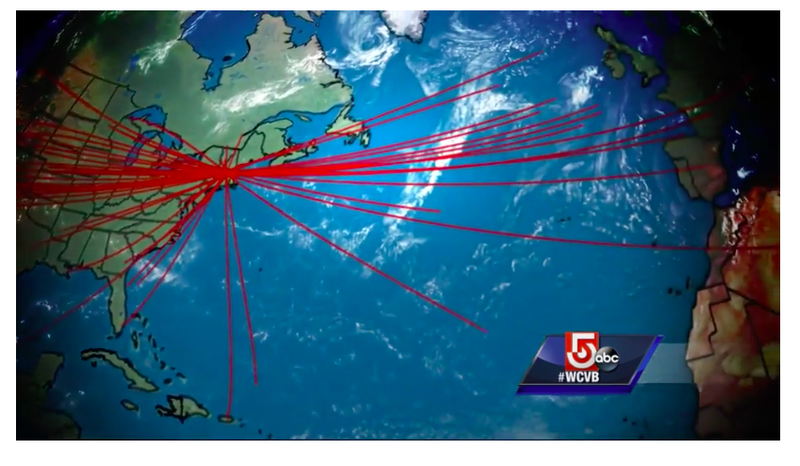 5 Investigates and Northeastern University School of Journalism reviewed hundreds of free trips for state lawmakers over the past five years not paid for by the state, but by private organizations and foreign governments."